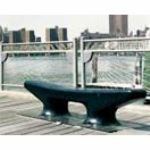 Below you will find links to company and product information for manufacturers and suppliers in Sweets matching the term Category-fixed benches. This page is designed to meet the needs of architects and design professionals who are researching, comparing, selecting and specifying products. 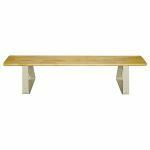 Below you will find links to product information for manufacturers and suppliers matching the term Category-fixed benches. 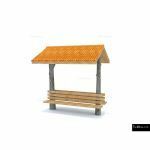 Each product presentation is designed for the construction industry professional and displayed in a consistent manner. Content categories include: project galleries, specifications, BIM objects, CAD details, 3D Models, product catalogs and green product information. Note to Building Product Manufacturers: Our goal is to include all manufacturers who are providing building product information in Sweets. If your company is missing or you have noticed a mistake in one of the listings, please contact us us today. Sweets is meant to be the most comprehensive and useful tool for finding building products information. Your feedback will help to ensure that design professionals obtain the information they need in the most useful form and help building product manufacturers to improve their content. 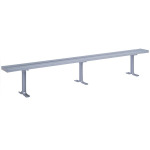 Description: The Lyon NF5827 10 ft. Aluminum Locker Room Bench comes with 2 Aluminum Pedestals. 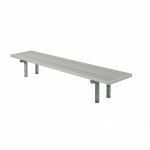 Aluminum locker room benches have a sleek, new contemporary design. 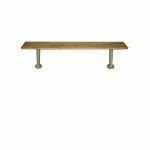 Description: A variety of pedestals to suit your individual needs can be used with our solid oak benchtops to form the ideal lockerroom benches. 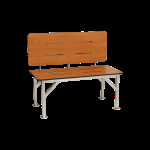 Description: SKU: DPTGH Team Bench with double 2x10 clear anodized seat plank on a double leg 2" "heavy" galvanized pipe frame. 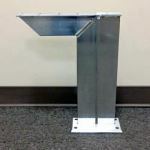 Designed to be permanently mounted into concrete. 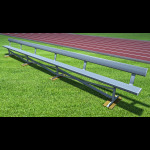 Description: Team Benches Sturdisteel aluminum team benches feature rugged extruded aluminum seats, and manufactured with galvanized frames on select standard lengths. Description: Outperforming All Others! 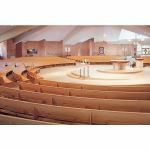 New Holland Church Furniture is the only manufacturer of radius curved pews since 1962 .